Cut hair for the future. Whether you are interested in hair, skin care, manicuring, or all the above, our expert educators and support staff are here to help you find your place in the beauty industry! This comprehensive academy will provide you with the proper training in a variety of areas such as cutting with clipper, shears, texturizing, scissors over comb, razor and creative styling techniques. This comprehensive program will provide you with the proper training in a variety of areas such as cutting with clipper, shears, texturizing, scissors over comb, razor and creative styling techniques. Learn the latest cutting techniques for long hair, short hair, men’s hair, razor cuts and fades, face framing and more. 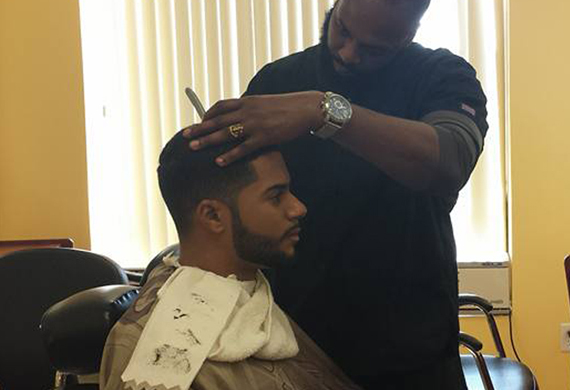 Students also learn taper cuts, fades, flat tops, clipper over comb and freehand techniques. Cosmetology-Hairstyling course is 1200 clock hours and covers all phases of beauty culture including barbering, manicuring, skin care, cosmetology, coloring, cutting, perming and styling. Cosmetology is a great career choice; fun, exciting and always changing. Students work on practical assignments using mannequins and classmates while learning basic fundamentals. A gradual progression then proceeds to the customer, where services are conducted under the supervision of a licensed instructor. A manicurist or a nail tech is an individual who specializes in everything that has to do with grooming the nails on the hands and feet. This includes cleaning the nails, trimming them, and polishing them. They are also qualified to give nail extensions, apply artificial nails, acrylic nails, and basically do anything else connected with the beautifying of the nails. Nail technology is a fast-growing industry and good nail technicians are in high demand. We teach students how to leverage this lucrative beauty trade. Students learn the skills to create a stunning, sophisticated nails to keep clients coming back for more. Our full-time and part-time schedules are flexible enough to fit your busy lifestyle. And with classes starting year-round, you are in the driver's seat. Still, you need to know if this is the right choice for you, which is why we are here to answer your questions. The end result is an experience like no other - an experience that can be found only at Blanco's Barber & Beauty Academy. We are a barber and beauty school specializing in barber training, cosmetology, manicuring and teacher training. 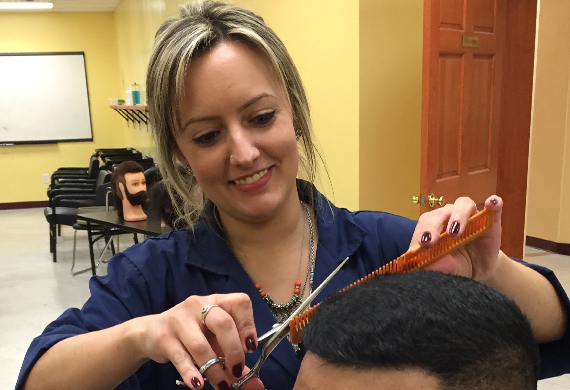 The advantage of attending Blanco’s Barber & Beauty Academy is the ability of prospective students to attain real world experience, outside the classroom, at Blanco’s International Cuts, located below the academy. © 2017 Blanco's Barber & Beauty Academy LLC -All rights reserved.